Cats do not respond well to punishment, but they do thrive on positive reinforcement. If you regularly punish your cat for inappropriate “catlike” behavior, only to find yourself feeling further frustrated, then maybe you’re going about it the wrong way. Here’s five reasons why disciplining your cat does not work. Perhaps your cat scratched or bit you during playtime. While your immediate response may have been to strike back — never ever hit your cat. It may just bite or scratch you again in self-defense, and worse you may seriously injure your cat. 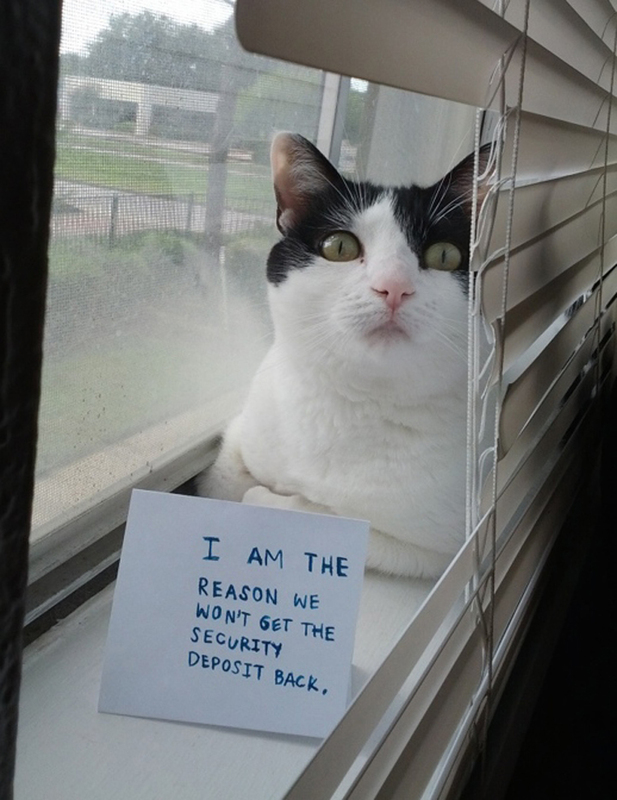 Remember: cats are not vengeful or malicious, they are merely responding to being frightened. Their scratch or bite could be the result of being overly stimulated during playtime. Instead, give kitty a time-out when he plays too roughly, says WebMD. The moment he bites or scratches you, end the game by leaving the room. Don’t pick him up or move him to another room as this could provoke more bites. When cats do something we don’t want them to do, like scratch the backside of a couch, we might shout or scold them to stop. Rather than improve their behavior, you’ll just end up with a cat that’s generally frightened of you. And that doesn’t mean his bad behavior will necessarily stop when you’re not around. 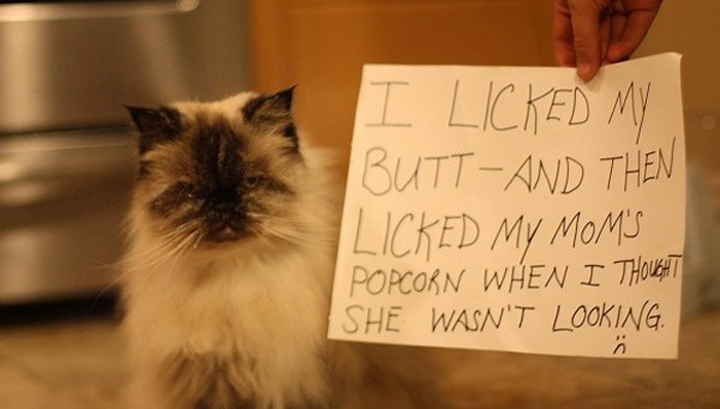 Contrary to what you’ve read on social media, cats aren’t secretly plotting their revenge after a punishment. But what may happen is that their bond with you could diminish. Think about it, It’s hard to trust someone who’s yelling or smacking you because you strayed from your litter box, particularly if the incident occurred because of an unforeseen medical condition. What was once a normally affectionate cat may shy away and stop sitting on your lap, or scurry out of sight when you enter the room. Punishing your cat will increase his anxiety level and cause feelings of insecurity. Just like all animals, cats need to feel secure in their world, suggests Catster. Punishing your cat will just create a stressed-out kitty. Punishing your cat may even escalate the original behavioral problem. Since punishment is stressful, the situation could get worse and potentially bring on more bad behaviors as a result. Learn to change bad “catlike” behaviors by teaching new ones through positive reinforcement. Working positively with your cat will not only help build a better bond, but also make your cat happier. And a happy, stress free cat makes a great pet. Hey Buddy!, I found this information for you: "5 Reasons To Never Discipline Your Cat". 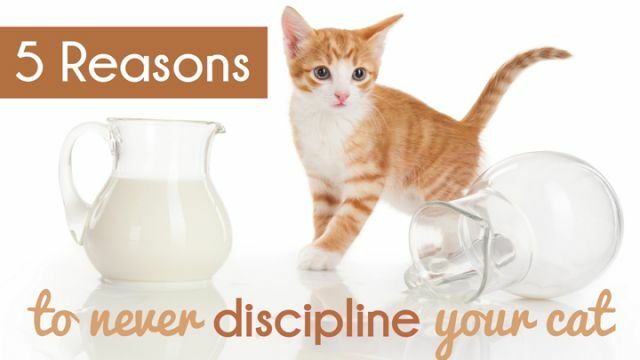 Here is the website link: https://www.thealternativedaily.com/5-reasons-to-never-discipline-your-cat/. Thank you.